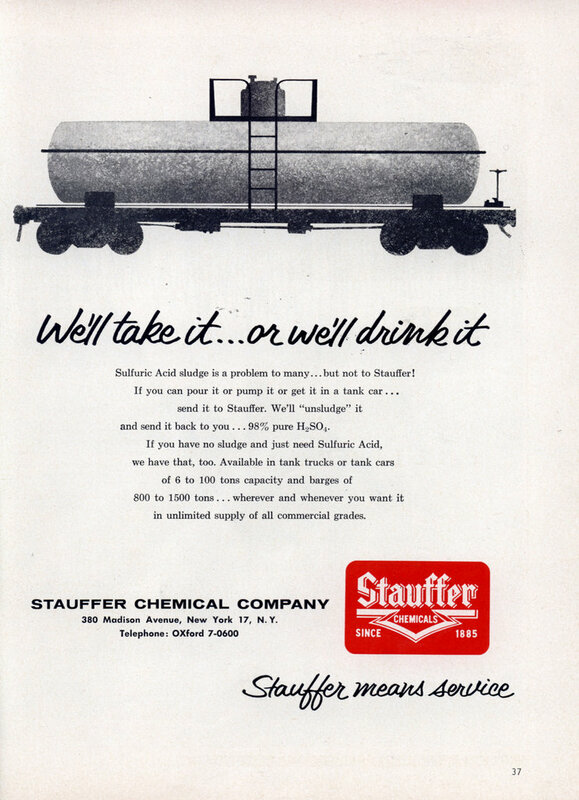 Sulfuric Acid sludge is a problem to many…but not to Stauffer! and send it back to you … 98% pure H2S04. If you have no sludge and just need Sulfuric Acid, we have that, too. Available in tank trucks or tank cars of 6 to 100 tons capacity and barges of 800 to 1500 tons… wherever and whenever you want it in unlimited supply of all commercial grades. STAUFFER CHEMICAL COMPANY 380 Madison Avenue, New York 17, N. Y. So they’re advertising a service to filter or otherwise remove sludge from other company’s sulfuric acid, so long as it’s shipped to them via tank car? And if they fail to clear your acid, they’ll DRINK IT??? Even worse – they want you to ship these tank cars of sludgy acid to Madison freakin’ Avenue, New York, New York! And it’s just down the block from the headquarters of Mad Magazine! I smell an acrid rat. I guess they really drank it. Ah, the 50’s The good ole days when you could just dump all that nasty stuff. EPA? We don’t need no stinkin EPA! With a few exceptions, if you own a car, you have sulfuric acid. On top of that there is the lead! I think we need to stop Dihydrogen Monoxide first! Ah, the good old days. 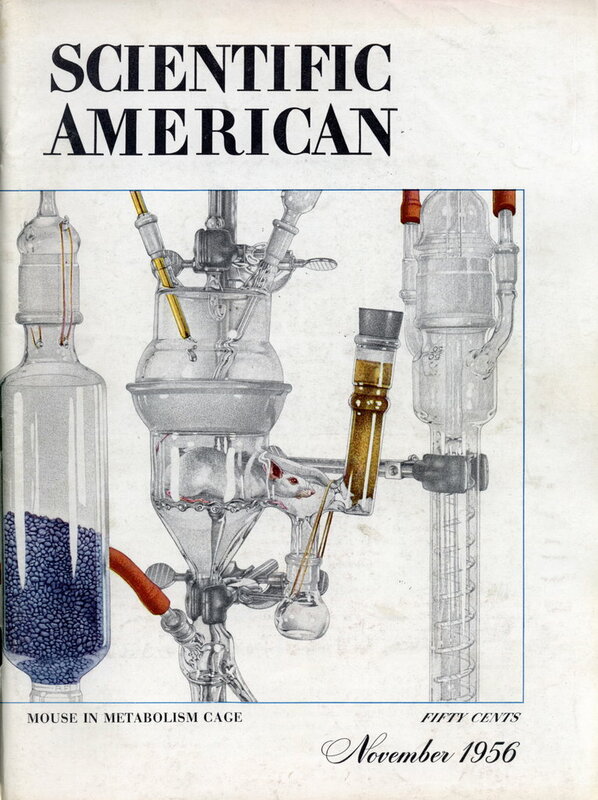 When it seemed to make economic sense to advertise 1500-ton tanks of sulfuric acid for sale in a general-circulation magazine.